Emily Mannix, a St Leondard's local, made her Vixens debut in 2015, and impressed despite having limited opportunities. 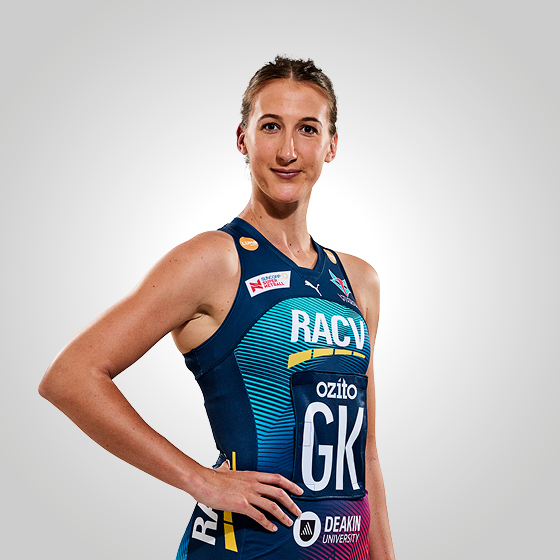 Learning from two of the best defenders in the business, Bianca Chatfield and Geva Mentor, Mannix’s time, patience and learning as understudy prepared her to make an impact out on court. 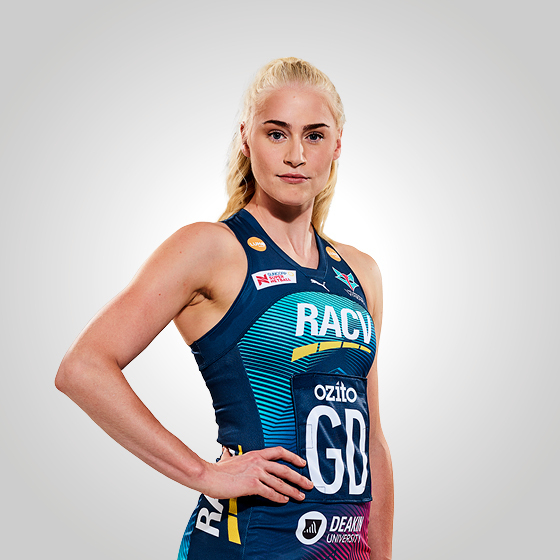 Rewarded for her outstanding season, Mannix finished runner-up in the 2017 Sharelle McMahon Medal, and made her Samsung Australian Diamonds debut. Mannix and her Vixens partner in defence, Jo Weston, are no strangers, playing much of their state underage netball together. In a demonstration of the pair's connection on court, the two perform like a well oiled machine in the defensive circle for Australia in the international test series. I started playing aged six. I did a lot of different sports so gave netball a go. Sharelle McMahon is my favourite netballer of all-time. I have two dogs (Max and Poppy) and four chickens. I support North Melbourne in the AFL. When I was a kid, I wanted to be a vet. My favourite dish to cook at home is tacos. I could eat them every day. My hobbies include bush camping, fishing with dad and anything to do with the beach. The best piece of advice I've ever received is to be yourself. Everyone else is already taken.